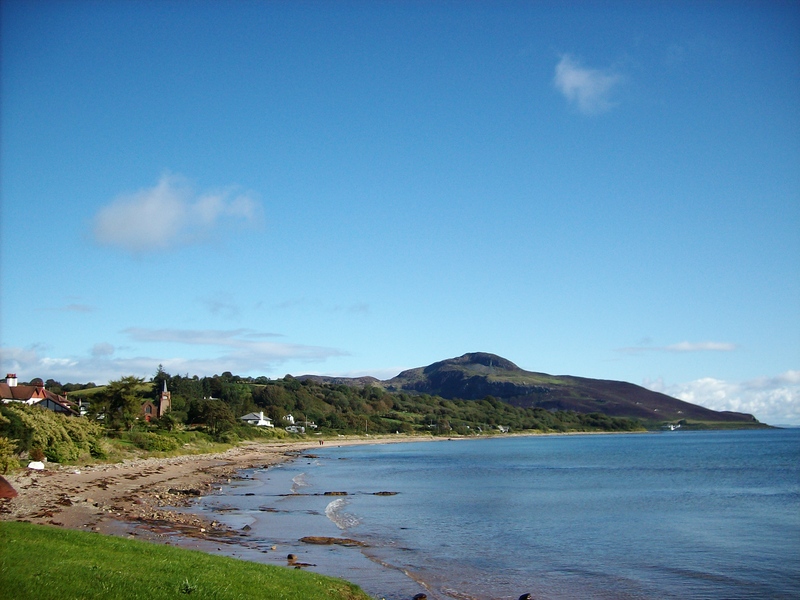 Isle of Arran, September 2011 | Where's Zoe now? Another “where was Zoe?” catch-up post. That was pretty much all the prior preparation I’d made for this trip. The night before I was supposed to leave, I was madly researching places within a few hours of Glasgow, and had a gchat with a friend who had travelled in Scotland more than me, consisting mostly of me saying “where should I gooooo? I can’t decide anything and the weather forecast is bad everywhere :/” So, on the basis of a toin coss and his suggestion that “Arran is nice, it’s like a mini-Scotland, and it’s easy to get to”, I hopped on a train to the coast on a drizzly morning, with a backpack full of books just in case the rain kept up all week. 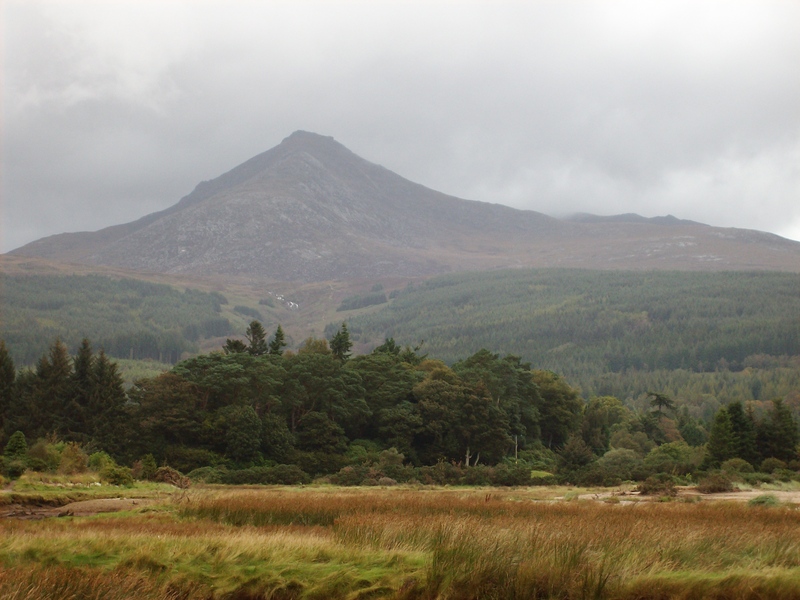 Goat Fell and lots of clouds. I didn’t climb it, but the views from the top on a clear day must be amazing. Not understanding more than 10% of what the landlady of my b&b said in the four days I was there. I thought I was ok with Scottish accents after several months in Glasgow, but not Aberdeen accents, it turns out. She was lovely though, as was her husband (who was in charge of cooking the full scottish breakfast every morning). They were both full of suggestions of places to see and optimism each day that the weather would surely clear up after a bit of morning rain. Sitting on the bus between villages on the west coast of the island, with the sea on my left and green hills on my right, and everything bathed in late-afternoon magic light. I was heading back to my b&b after an afternoon of hiking, and it is hard to imagine a more perfect autumn day. This entry was posted in Glasgow and tagged arran, autumn, island, nature, september on March 21, 2013 by Where's Zoe Now?.